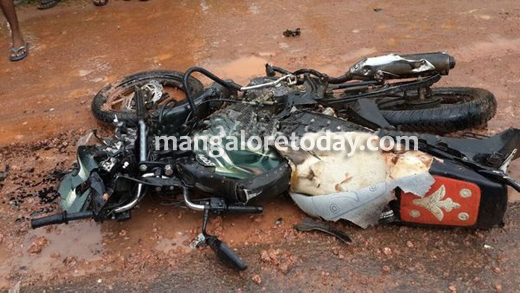 Mangaluru: July 26, 2015: Two persons lost their life when their bike collided with a truck on NH 66 near Billava Sabha Bhavana, Kaup on July 26. The deceased has been identified as Nagaraj and Kumar, hailing from Bhadravathi. 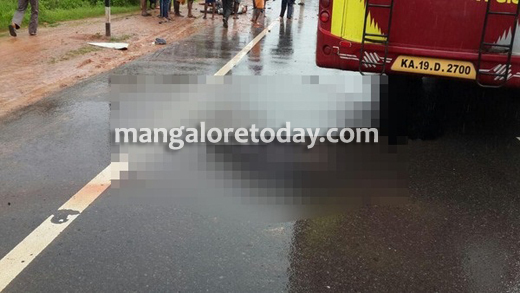 It is said that both Nagraj and Kumar going towards Mangaluru from Udupi when the speeding truck hit the bike from behind. The impact of accident was such that both of them were thrown away for several feet. Nagraj and Kumar were critically injured in the accident and breathed their last. The locals gathered at the spot. Kaup PSI Jagadish Reddy and other police personalls arrived at the spot and detained the truck driver. A case has been registered at Kaup police station. Why the Police not acting on such rash drivers?Untill somebody loses life in the accident the police wont act?